Alghero‘s origins date back to the 10th century when the Genoese, with the help of Pisans, repelled the Arabs. 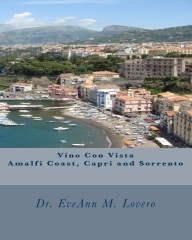 Then they obtained land grants from the Judges (giudicati) of Logudoro that governed Sardinia during the Middle Ages. The first capital city for the Giudicato of Logudoro was ancient Torres (now Porto Torres), but it was exposed to Arab attacks. Eventually, the seat of the judgeship was transferred to Ardara and finally to Sassari. By the tenth century, the map on the right shows that the island was divided into four provinces or giudicati during the High Middle Ages: Logudoro in the northwest section was the largest; Gallura to the east; Arborea to the south and Cagliari to the southeast. 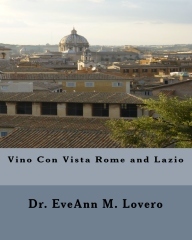 Later Logudoro and Arborea were combined into one province at the start of the eleventh century. The Giudicato of Logudoro was also known as the Giudicato of Torres, after Porto Torres. This area covered the northwest portion of Sardinia from the tenth through the thirteenth century. This is where Alghero is located. Alghero was built around a fortified port, founded around 1102 by the Genoese Doria family. The Doria ruled it for centuries, apart from a brief period under the rule of Pisa (1283–1284). 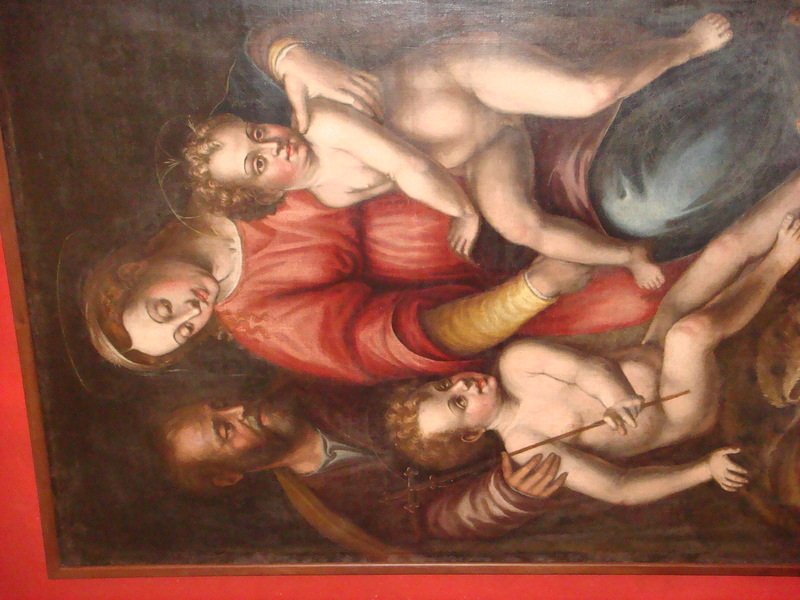 The Doria had fiefs in Sardinia from the 12th century to the 15th century. 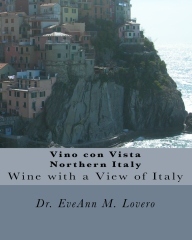 They also had fiefdoms in Dolceacqua, Oneglia and Portofino, in the Riviera to the west of Genoa. In 1353 it was captured by the Aragonese under Bernardo de Cabrera. The Algherese revolted against the garrison’s commanding officer and killed him. The Spanish responded by sending 12,000 men and 100 galleys to suppress the revolt. 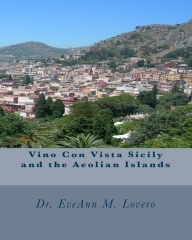 A treaty was signed and the original Sardinian inhabitants were forced to abandon their homes and move to the town of Villanova about 25 killometers away. The port became the main route between Catolonia and Sardinia and the town of Alghero was inhabited by Catalan colonists creating a distinctive Catonian settlement. The Spanish dominated the city for 360 years. 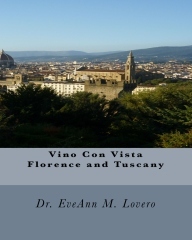 Today, this region of Italy, enclosed with fortress walls is referred to as Little Barcelona. In 1720, control of Alghero passed to the House of Savoy. 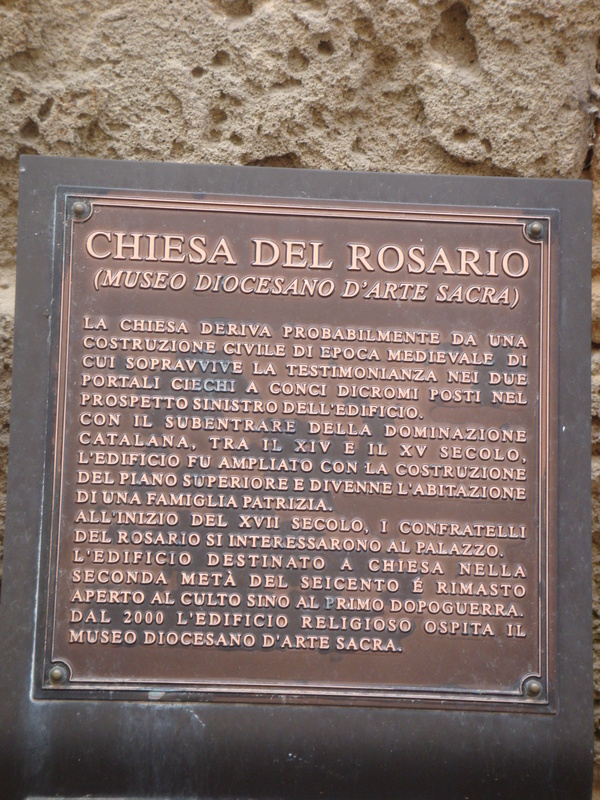 To appreciate the sacred history of this charming town, visit the Museo Diocesano d’Arte Sacra. 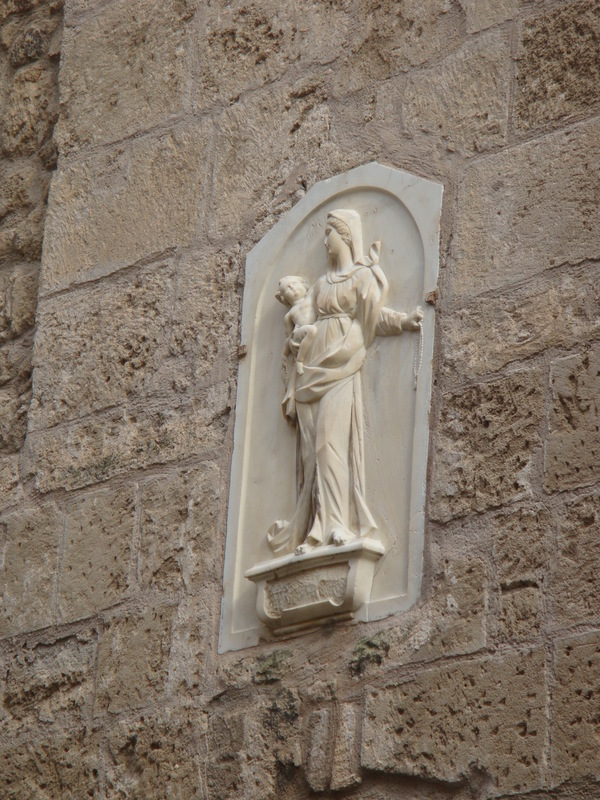 It is located in the historical center of the city of Alghero in the Rosary Church (Chiesa Del Rosario). The former church was enlarged between the 14th and 15th century when the upper floor was added to the structure. The edifice became a church in the second half of the 17trh century. It was used as a place of worship until the first post-war period and ultimately became a museum in 2000. It is next to the Cathedral dedicated to the Virgin Mary. 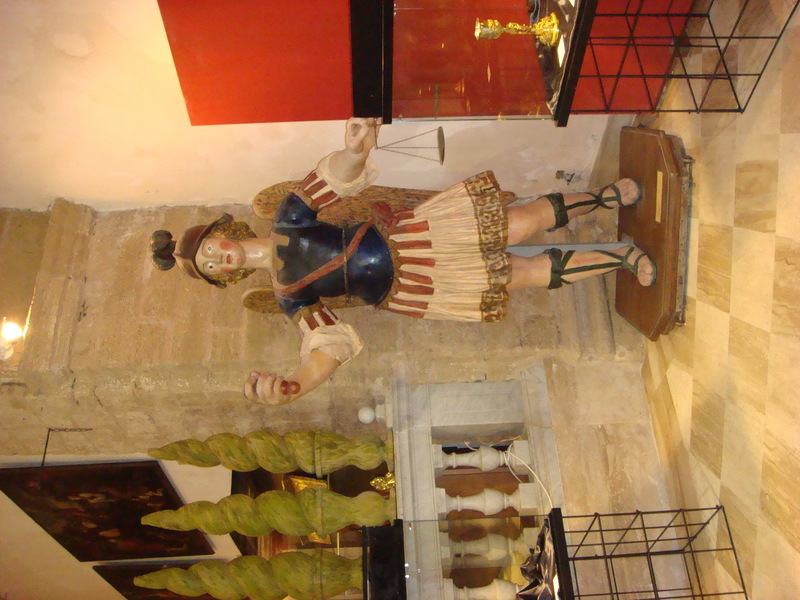 The treasures of the diocese of Alghero-Bosa are preserved in this Diocesan Museum of Sacred Art. 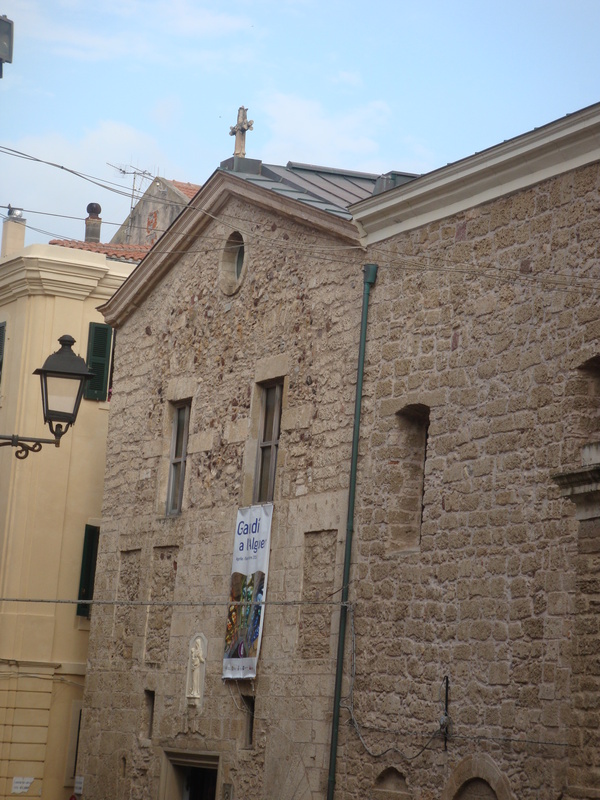 The Museum is in the former Church of Rosario on Piazza Duomo. The building was originally the Oratorio del Rosario; it belonged to the confraternity that founded the church of San Francesco in 1568. 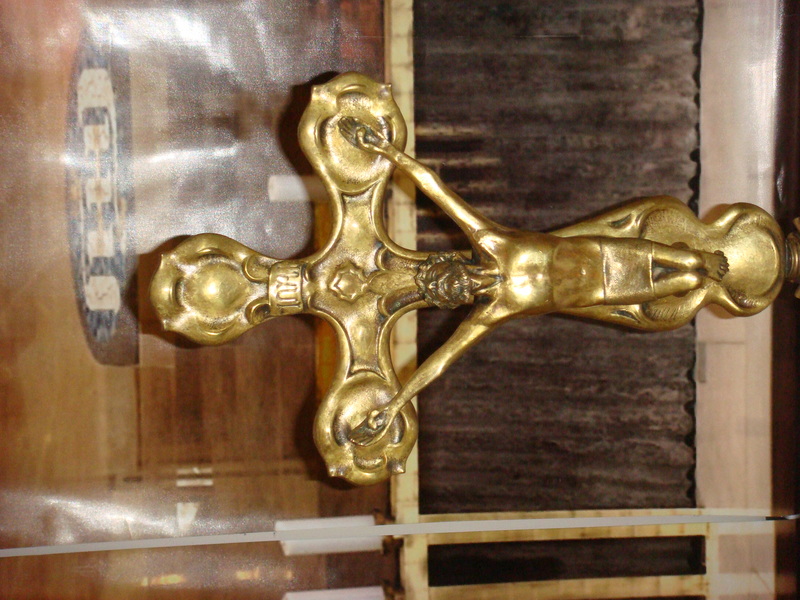 The small museum is packed with precious sacred art, artifacts and liturgical treasures. The museum collection is divided into six sections: silver, paintings, wooden sculptures, wood carving, stone and bronze. 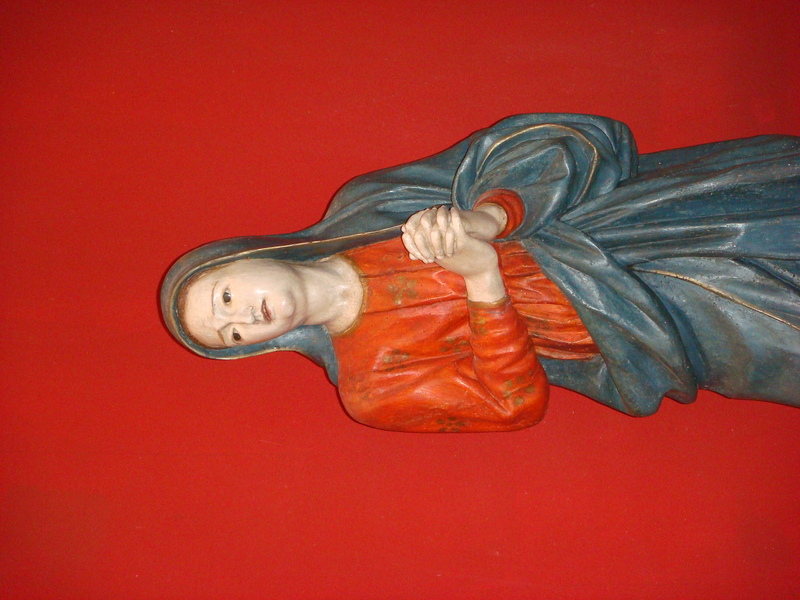 You will find an early 16th century “Our Lady of Sailors” from the Cathedral of the Virgin next door. 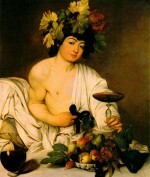 It is attributed to a Catalan workshop. 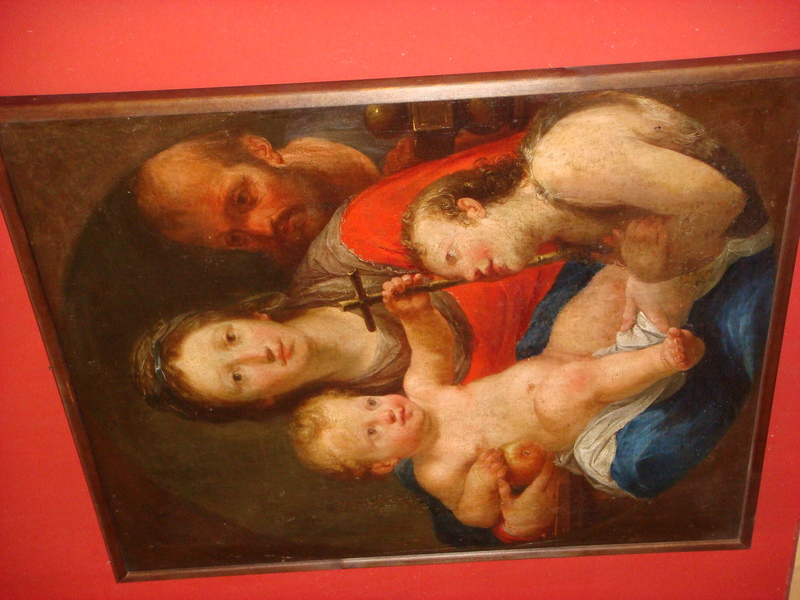 The museum opened on June 30, 2002 and preserves the Cathedral’s liturgical art, as well as sacred art from other churches in the diocese of Alghero-Bosa. 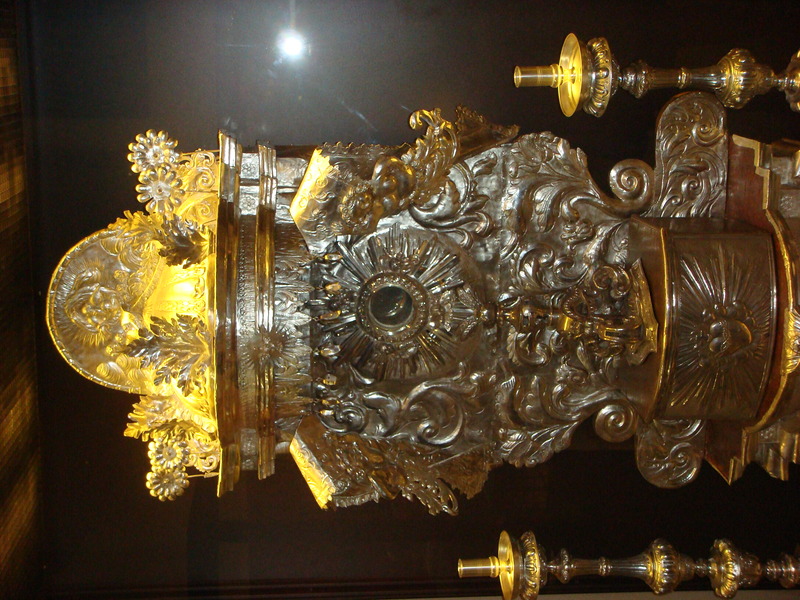 There is a beautiful “Eucharistic Throne” from 1720 from the Cathedral of the Virgin Mary. 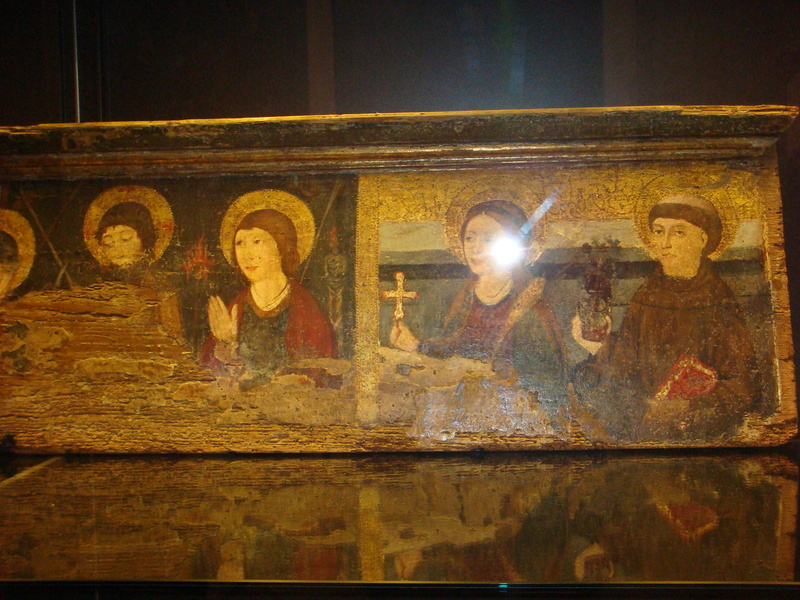 It is embossed and engraved from the workshop of Giovanni Andrea Lay from Cagliari. 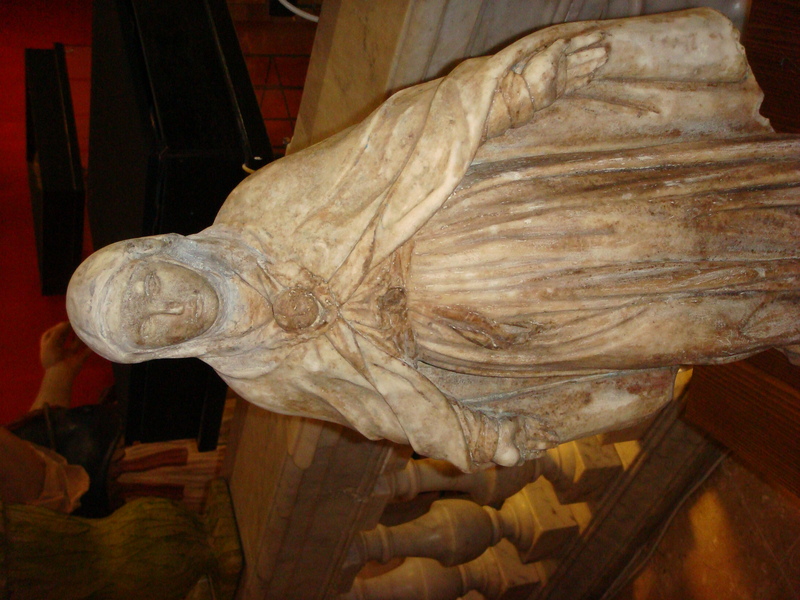 There is a 17th century marble statue of “Our Lady of Mercy” from the Church of Saint Michael that was created by a Ligurian workshop. 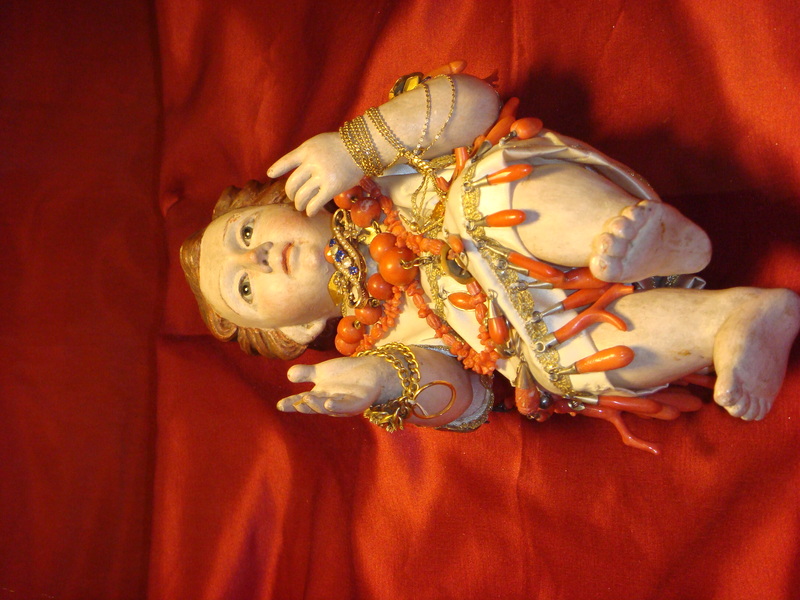 I loved the 19th century wooden carving of “Baby Jesus” (Bambinello) from the Church of Saint Michael. 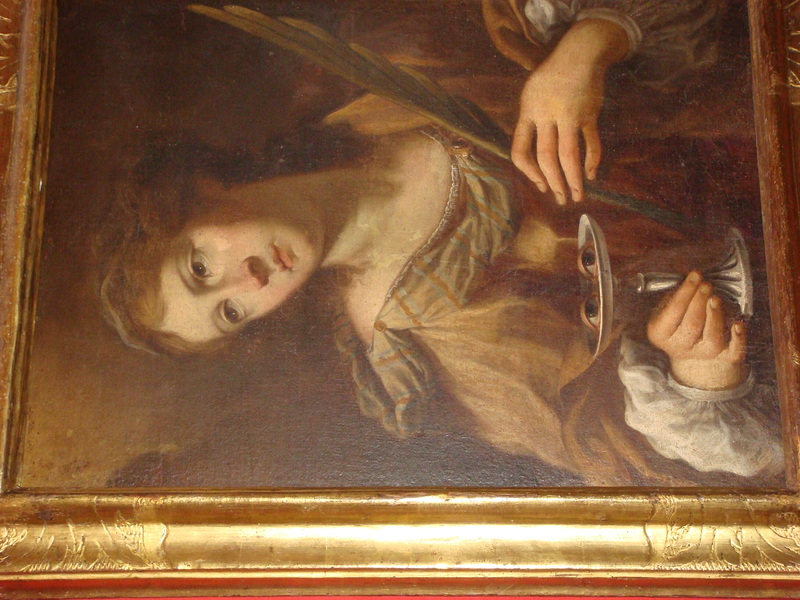 It was adorned with coral and attributed to a Sicilian workshop. 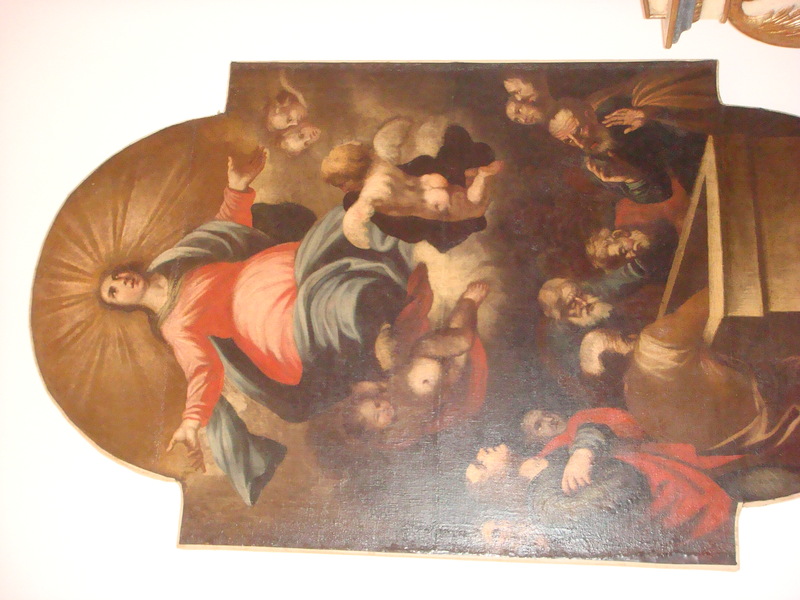 The 17th century “Assumption of the Virgin” is from a Sardinian workshop. 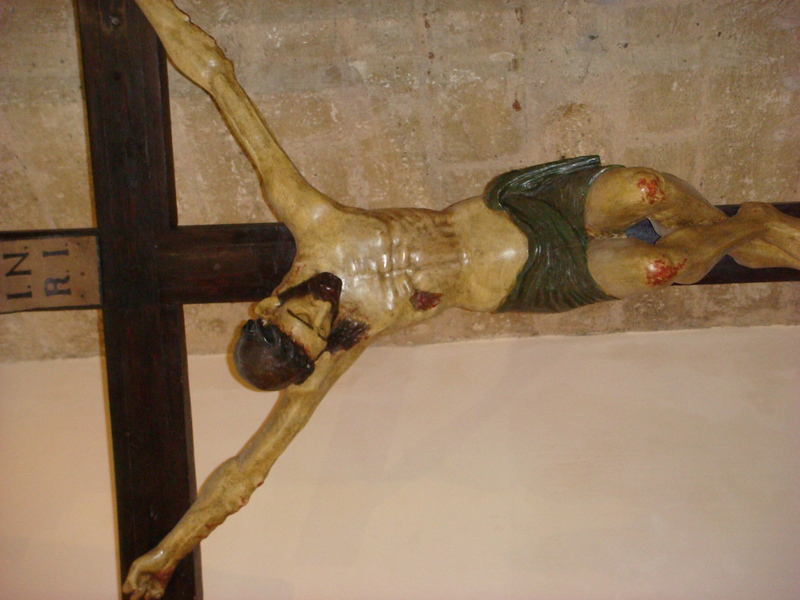 There are precious sacred treasures from Alghero’s historical churches. In the Silver section there are beautiful objects created by silversmiths. 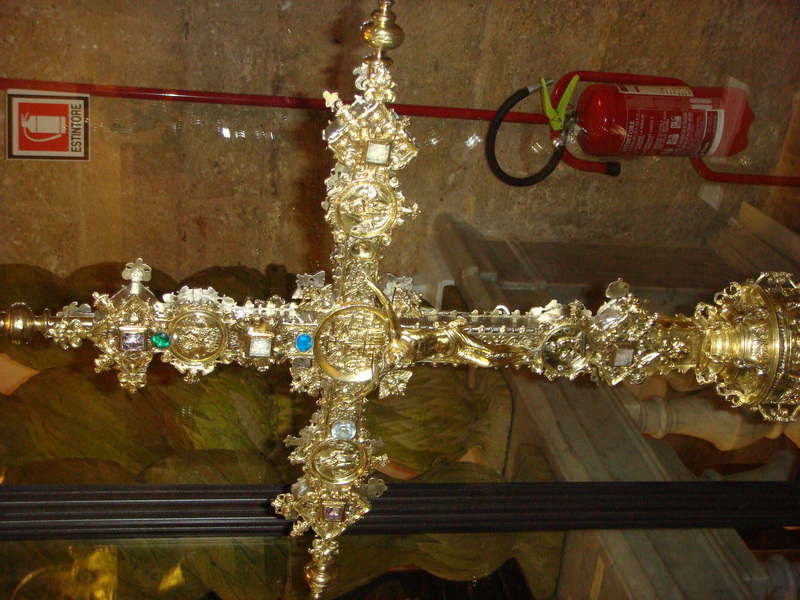 There is an impressive Catalan reliquary of the True Cross created by an unknown silversmith from Alghero in 1500. 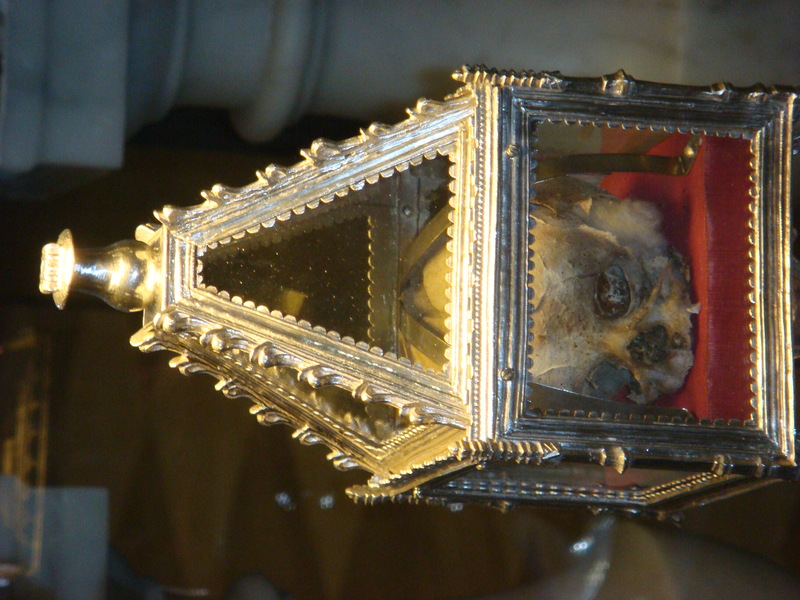 The 17th century, Reliquary of a Holy Innocent Martyr is embossed in chiseled silver from a Sardinian workshop. 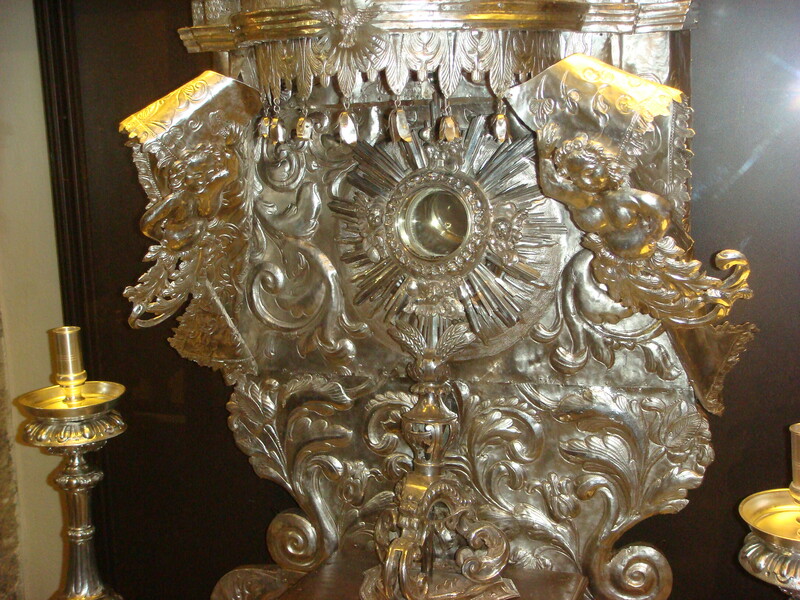 It was originally in the Cathedral of the Virgin Mary. 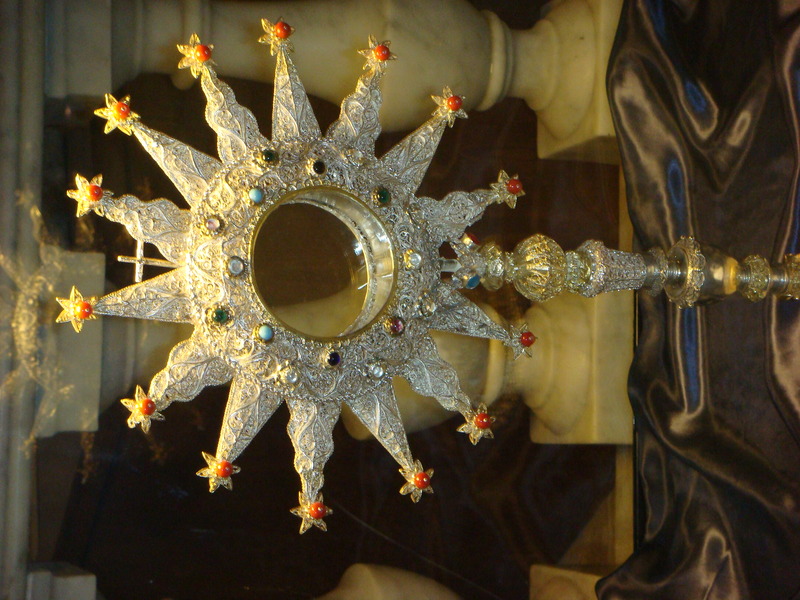 This beautiful 17th century jeweled Monstrance (Ostensorio) was made by a silversmith from Trapani in 1679. 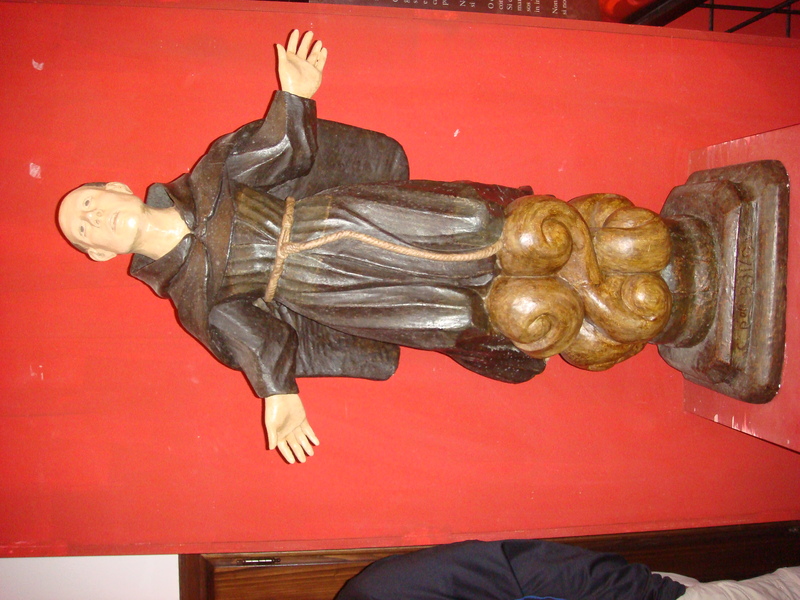 In the “Wooden Sculptures” Area of the Museum, there are many saints and representations of the Virgin. 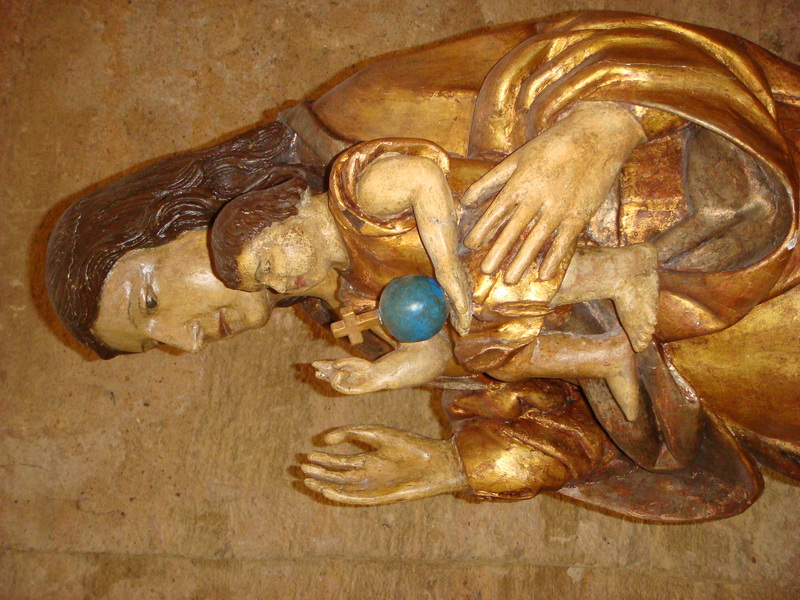 The golden statue represents the “Madonna dei Naviganti” by an unknown Catalan artist from the 15th century. 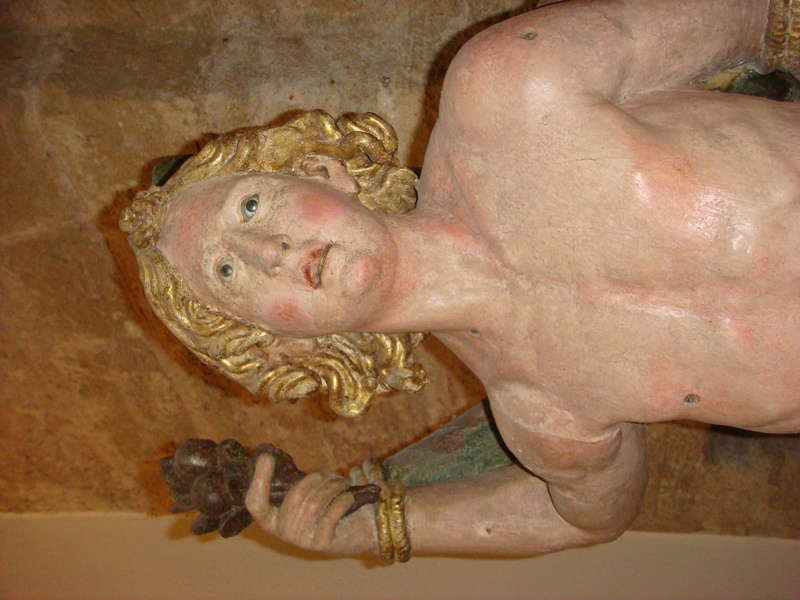 Some of the polychrome wooden carvings from the seventeenth century to the nineteenth centuries include a gigantic San Michele Arcangelo (St.Michael the Archangel) from the end of the 17th century. 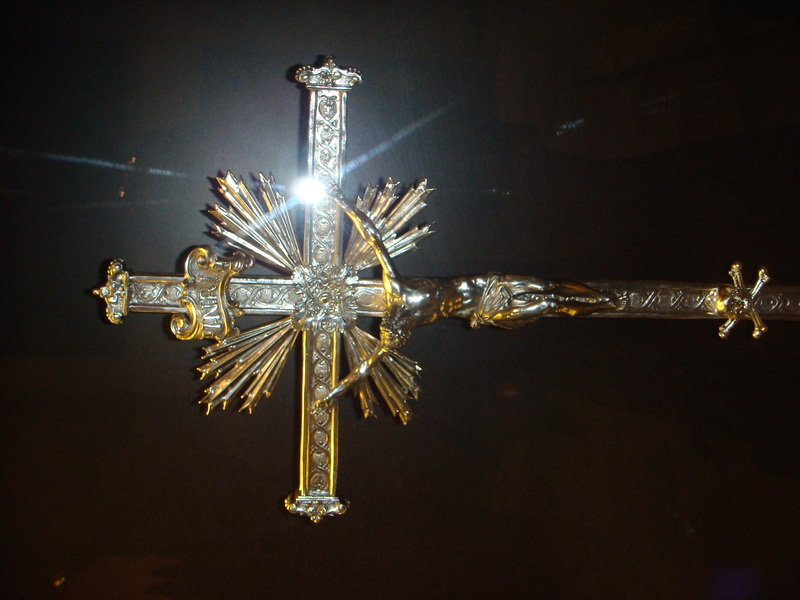 It was formerly displayed in the church dedicated to St. Michael a few blocks away. 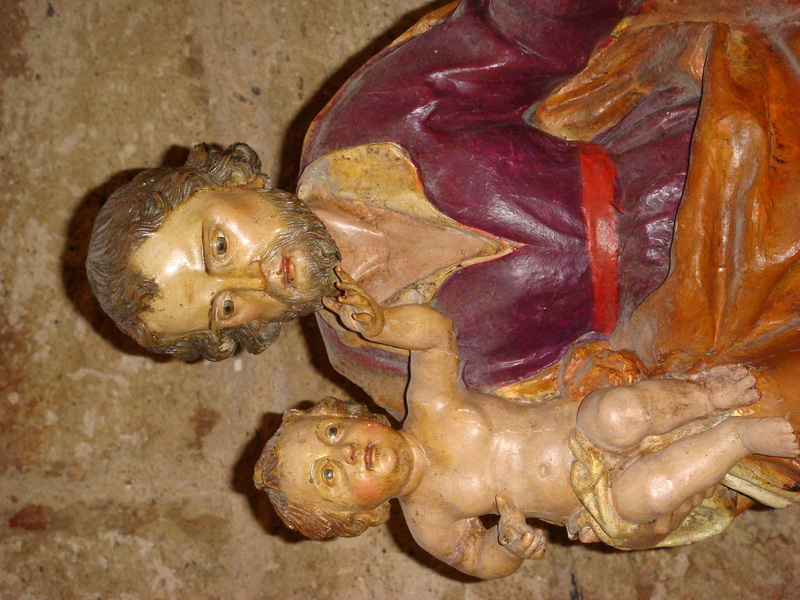 The 18th century “Saint Joseph with the Child” from the church of Our Lady of Carmelo is a polychrome wooden carving from a Neapolitan workshop. 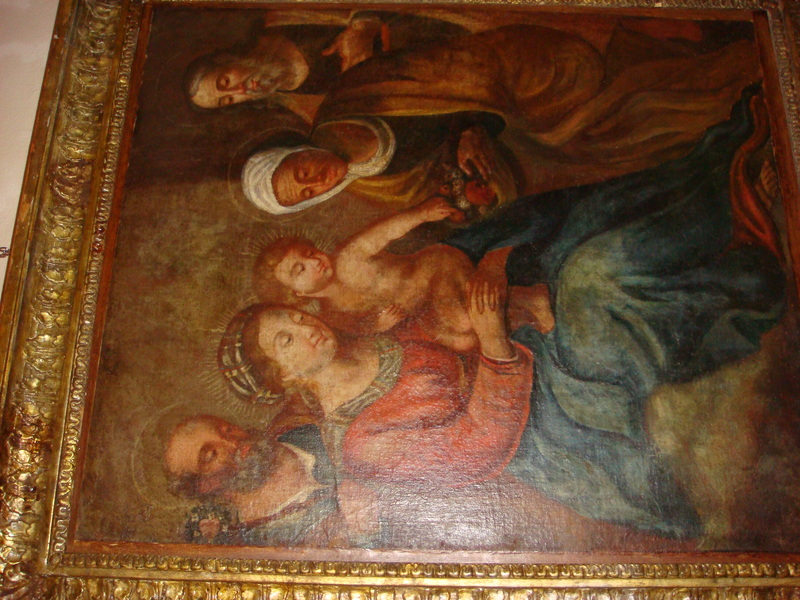 There are also a series of mid-17th century paintings by Genoese painters of scenes from the lives of Jesus and the Virgin. 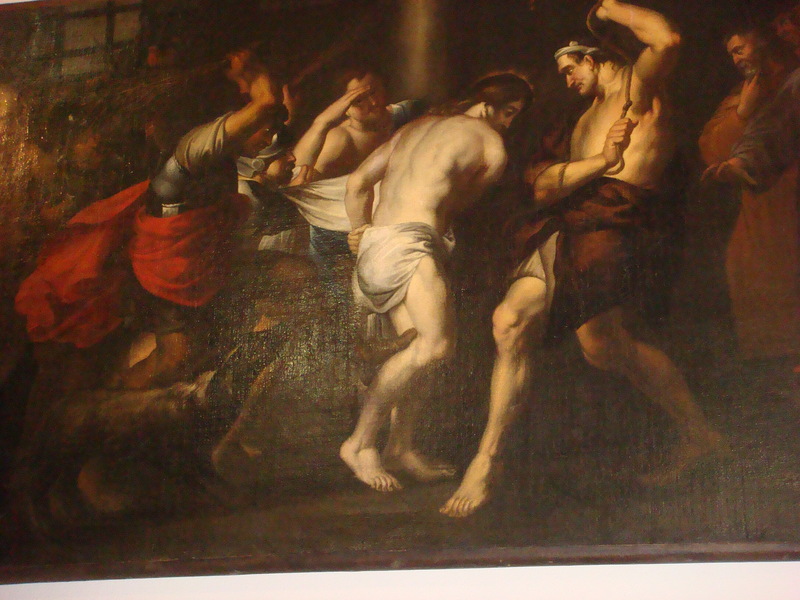 The 17th century brutal Ligurian School representation of the “Scourging of Christ” painting below is from the Church of Our Lady of Mercy.